It's time again for our Peeps contest at work. 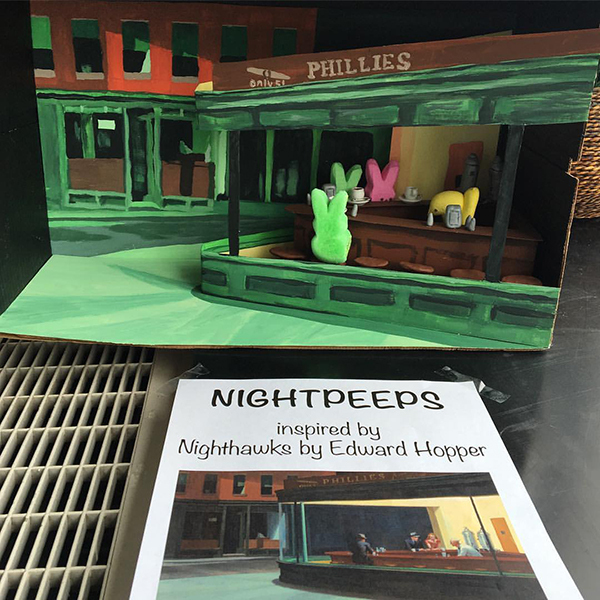 I wanted to do something really different this year so I recreated Edward Hopper's Nighthawks.... with marshmallow Peeps. I got a little carried away, painting the scene in detail and then building a 3D version of the diner. I'm pretty happy with how it turned out.